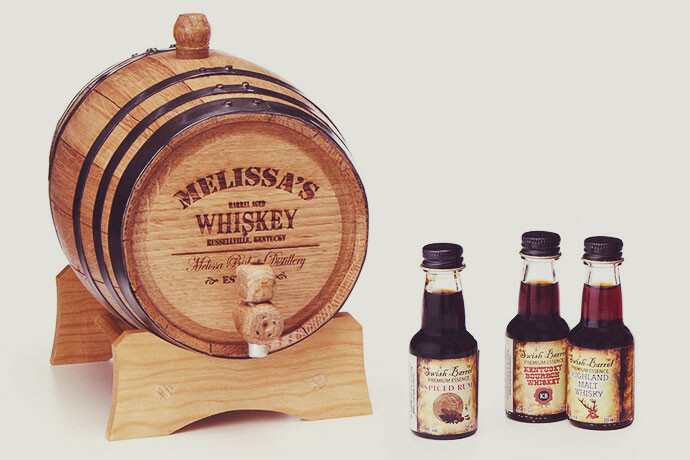 The perfect gift for the whiskey lover is his or her own barrel. Choice of 2L or 5L miniature oak barrel with the recipient’s name etched into the side. This barrel ages spirits to the peak of flavor, just like its full-sized siblings. Before first use, be sure to cure the barrel for 3-5 days and turn the barrel and taste the contents weekly until reaching their ideal oakiness. Enjoy straight from the tap. Givers can also add a rum or whisky making kit for additional cost. Available from Uncommon Goods.